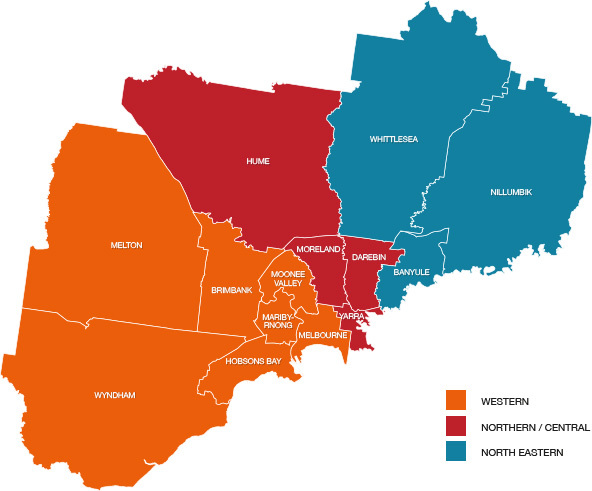 The North and West Metropolitan Region Palliative Care Consortium (the Consortium) is one of eight regional palliative care consortia funded by the Victorian Government Department of Health and Human Services (DHHS). The Consortium is an alliance of services providing palliative care for people living in the north and west metropolitan region of Melbourne, Australia. Consortium members include community palliative care services, public hospital palliative care services, Bolton Clarke (formerly RDNS) and primary health networks. The Consortium’s Clinical Advisory Committee (CAC) is a peer support network for clinicians in the region. The CAC provides a forum for information exchange between clinicians and opportunities for input to regional and statewide professional development and service improvement initiatives, including the activities of the Palliative Care Clinical Network (PCCN) run by Safer Care Victoria. Assists DHHS to implement the Victorian Government’s end of life and palliative care framework and other policies and programs to support people with a life limiting illness and their carers, families, friends and communities. People’s preferences and values are recognised and respected in their end of life care. Engaging communities and embracing diversity. Services are coordinated and integrated. End of life and palliative care is everyone’s responsibility. Specialist palliative care is strengthened. Improving access to after hours palliative care and support for people living in residential aged care facilities. The Consortium is governed by the Consortium Management Group. The Management Group includes eight ‘voting’ member organisations, and one other in a non-voting capacity. The Consortium also supports the operation of a regional Clinical Advisory Committee, a peer support network for clinicians in the region. Measured by population, the north west metropolitan region of Melbourne is around one third (33.1%) of the population of Victoria.